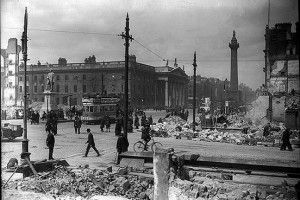 Easter Rising 1916. A worksheet for KS3 and 1-9 GCSE that explores the causes of the Easter Rising and the possible consequences of it. Activities initially consolidate understanding of the issues raised in the text. They then ask pupils to consider what the reasons for initial responses to the uprising may have been. This asks why some people condemned the rebels in the immediate aftermath and considers the possible consequences of the Uprising on Home Rule.